Moonlight is a Polish music band, originally playing art rock, now creating music with trip hop influences. Beginnings of looking for their own music identity and vision of music of the group MOONLIGHT are the year 1991 and highschool number 4 in Szczecin. There, in the school club, first rehearsals of the group Under The Veil Of Honesty were set. After some personal disharmonies there was settled the first line-up appearing then as MOONLIGHT though it is not exactly known what the origin of that name is. Even members of the group have problems with explanation. It is also very hard to find what was the source of musical inspiration for members in this first period of group's activity. People who were a part of MOONLIGHT always derived from various musical circles so since the very beginning music composed by the group has been an amount of various sorts of music, which has been creating a new quality. Maja Konarska - vocal, Kasia Michalewicz - vocal, Andrzej Kutys - guitar, Arek Wlazło - guitar, Daniel Potasz - keyboards, Szymon Goebel - bass guitar, Tomasz Kopczyński - drums. The first line-up of the group, that recorded MOONLIGHT'S first demo in now legendary studio of Akademickie Radio Pomorze, where groups like Hey, Kolaboranci, Firebirds etc. started their career. The demo consisted of nine songs. Soon, the independent publisher Rock'n'Roller in Szczecin put forth a production which was quickly accepted and enjoyed by listeners and media. Later things were going variously. There were some concerts: "the last" Jarocin, Grodziec - the first edition of Castle Party, etc. But on the other hand, just like in a life, problems with the place of rehearsals and with the line-up: the idea of two vocalists had failed before and there was no proper drummer and bass guitarist for long time. 1994/95 the new drummer Tomek Wieczorek turned up and Paweł Gotłas became the new bass guitarist. Not long before summer holidays 1996 Arek Wlazło left the group. 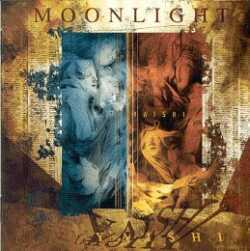 MOONLIGHT in 1996 consisted of: Maja Konarska - vocal, Daniel Potasz - keyboards, Andrzej Kutys - guitar, Paweł Gotłas - bass guitar, Tomek Wieczorek - drums. In this line-up they won the first prize at Ogólnopolski Festiwal Rock Block (All-Polish Festival Rock Block) in Szczecin and then recorded their second demo for further promoting of MOONLIGHT. Summer holidays 1996 turned out to be the time of hard work and concerts: Fama in Świnoujście - the final concert transmitted live by Program II TVP (Public Television), Węgorzewo where the group won two prizes - journalists' and audience's, Przystanek Olecko (Olecko Stop) and its final concert too and, the most important, really enjoyable show at III Castle Party in Grodziec. At this festival the group was seen by the emissary of Metal Mind Productions and at the end of August 1996 MOONLIGHT signed a contract and started to record a debut album in the Fonoplastykon studio in Wrocław. 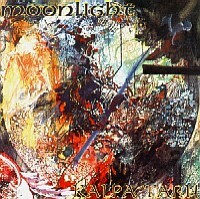 Soon after that, in autumn 1996 the first album of MOONLIGHT - "Kalpa Taru" appeared in music shops. Not long after the premiere of the album the group had a concert tour with the legend of the British progressive rock - Pendragon. The route included Poznań, Warsaw, Zabrze and Kraków. And though it could have seemed to be risky, it occurred that audience, critics and musicians of Pendragon expressed about common concerts with a huge recognition. Then the time of further promoting of the material came, inter alia a very good show in Hala Wisły in Kraków, where the group supported Mercyful Fate and King Diamond. Then - twice at Spodek in Katowice: the first - Metalmania with stars like Tiamat, Samael, Anathema, The Gathering; the second - Metal Hammer Festival, where the main attraction was the group Megadeth. Both shows, as you can guess, were seen by a few thousand of people who enjoyed the music of Moonlight very much. Most of music recaps of 1996 mentioned the group, inter alia "Tylko Rock" (Only Rock) - one of the nominations to prizes granted by the magazine in the category "debut of a year", Maja was honorable mentioned in the category " female vocalists" granted by "Brum", nomination for "the album of a year" in "Machina" etc. Before recording of the next album there was a change in the line-up. The drummer Tomek Wieczorek, who had some health problems making his playing impossible, was replaced by Maciek Kaźmierski known from playing in Firebirds. In spite of quite different musical experiences, he adjusted very well to artistic and stage vision of Moonlight. Exactly a year after "Kalpa Taru" mysterious "Meren Re" appeared. Unfortunately, the publisher - Metal Mind Productions, who has been supporting the group and helping a lot with promotion, suddenly somehow gave up its interest. And though some interviews and reviews appeared and songs were some times played on the radio, the one important thing was missing - concerts. Eventually, the contract with MMP was terminated. Trying to find a new publisher brought signing the contract with Morbid Noizz Productions. After new compositions were made, the group for the third time visited the Fonoplastykon studio in Wrocław to record "Inermis". The new material had positive reviews even before the premiere and the patronage in the media was taken up by popular "Trójka". There was recorded a professional video clip to "Flos". Unfortunately, well forecasted partnership with Morbid Noizz broke down at the beginning of 1999. The album appeared in shops four months later than it should and while the radio and the press were showing previews of "Inermis", the album was impossible to get. In spite of very good reviews and opinion of listeners, "Inermis" failed because of hardly any promotion - in practice Morbid Noizz Productions stopped existing. And when it seemed that hard times for the group are coming, the previous publisher - Metal Mind called. After long negotiations both sides came into agreement. 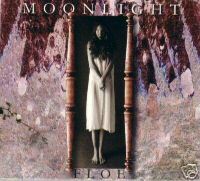 In winter 2000, in Fonoplastykon of course, MOONLIGHT recorded "Floe". It is an important album for MOONLIGHT. After a moment of "non-existence" the group came back with songs which listeners liked a lot. But first of all, the producer of "Floe" became, any way accidently, Marcin Bors. He is a very important person in further history of the group. A fantastic musician and a talented producer later became an "informal" member of the group. He was in charge of the tone and was supporting the others with valuable advise. Also the concert condition of the group improved: in summer 2000 MOONLIGHT played a beautiful, simply theatrical and poetic, concert in Bolków at VII Castle Party, in autumn with groups such as Aion and Batalion d'Amour they had a concert tour in ten of the largest cities in Poland. A very nice moment for MOONLIGHT was 13 January 2001. This day they played in Warsaw in Studio M1 under the name of Agnieszka Osiecka for Program Trzeci Polskiego Radia (Third Program of the Polish Radio). The concert was transmitted in the whole country, recorded and later appeared as an album. Amongst 13 songs also appeared two songs from just prepared album which was very carefully worked upon. Recordings took all summer 2001 and in autumn "Yaishi" appeared. This session was not easy, there were contusions, a bit of nerves but the effect was really satisfying. Beside well known earlier sounds, this was the album that started the evolution in music played by MOONLIGHT. Thanks to Marcin Bors the group started defining their musical language from the beginning. On the album the new bass guitarist - Michał Podciechowski - replaced Paweł Gotłas, who gave up music because of family reasons. The change was hardly noticed and Michal quickly joined the group in composing new material. First time in the history of MOONLIGHT they recorded the English version and since then albums have been available abroad (though you have to search a little). The way of promoting was traditional concerts in the whole country. 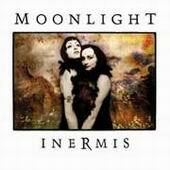 Also in 2001 they managed to reissue "Inermis". As far as Morbid Noizz hadn't existed, so, the album with the new cover and corrected tone was put forth by Metal Mind Productions. The group started working upon the new album in a discography. A year after the recording session of "Yaishi" the group went to Wrocław to Fonopastykon and the production of the sixth album began. Premiere: autumn 2002, title: "Candra". It was the end of a certain period in MOONLIGHT's history. Traditionally, there were some problems like switching off electricity. But the real problem was the situation inside the group. The evolution of music started before, on "Candra" it was more noticeable but not accepted by everybody. The next route took place in autumn 2002 and it was the first of the Dark Stars cycle, inter alia with Artrosis and Fading Colors and those were last concerts with Daniel Potasz (keyboards). He was expelled from the group. Already in February 2003 the group was in the studio again. It was not planned. In the same time Metal Mind Productions was preparing reissue of the first album recorded in 1993. Suddenly, it occurred that Daniel Potasz had rights to this material (he had bought those rights without the agreement and knowledge of the others) and he didn't agree to put it forth. The solution was simple - the group went to Fonoplastykon and recorded those songs one more time. 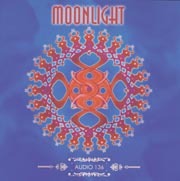 The album "MOONLIGHT" appeared in Spring 2003. The musicians' own opinion about it is: "First time we recorded those songs in 1993. After 10 years you have an occasion to listen to new versions of them. This is how they sound played by MOONLIGHT in 2003. It is not our new album. Treat it as creative variations to old topics". A huge contribute to this album had Marcin Bors and Gienia (Andrzej Markowski) - a great musician from Wrocław who had already had a guest appearance on the keyboards on previous albums. Gienia joined the group and in April MOONLIGHT was playing concerts in the new line-up and preparing to a very important day - 11 April 2003. 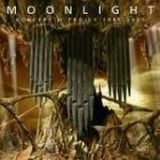 Those who were at that time in Krzemionki in the television studio in Kraków had an occasion to watch how MOONLIGHT was recording their concert on DVD which was put forth by Metal Mind and titled "Awaken Memories Live". In autumn this year at Dark Stars Festival MOONLIGHT played concerts in the whole country. At the same time they were working on the next album. They started recordings in winter 2004. "Audio 136" appeared before the summer holidays 2004. It was a common work of Marcin Bors, Gienia and Moonlight. The next step of musical evolution. It was still MOONLIGHT but sounding different, played different, using different ways of expression. The album is clipped by the composition of Krzysztof Komeda "Rosemary's baby". This was not the first cover recorded by MOONLIGHT, on previous albums we can hear inter alia Depeche Mode "Enjoy The Silence" and Bjork "Army Of Me". "downWords" was not only the next record � it was a beginning of something new, intriguing and hardly possible to be put in any frames - the new Moonlight. Mature and well thought-over arrangements, modern additions - all of this makes the new album special in their career, but also on the market. The band itself enthusiastically speak about the surprises you are about to get to know, listening to the record. This is a phenomenon, that you've never encountered before - full of different emotions, balancing on the edge of depression and chaos. Listen to it carefully. From the beginning to the end... As always, a big impact on the material was exerted by Marcin Bors, the producer from Fonoplastykon Studio. You will be also able to hear some exotic instruments on the album. For example - how does a "woolen mammoth" sound like? Check it by yourselves. The album has also got a graphic design utterly different from everything you could see on previous Moonlight's releases, executed by ASP!S and Żana of i-Mages. �downWords is a breakthrough material in Moonlight's career, hence we've decided that the graphics also has to be unique. You will find many hidden meanings in the booklet", they claim. 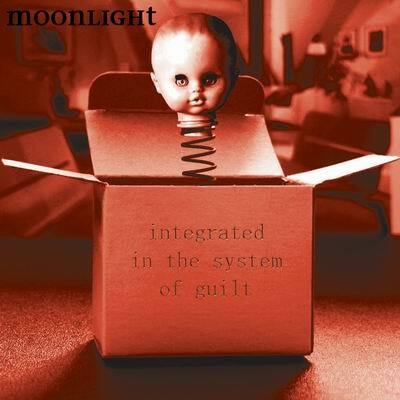 2006 - "Integrated In The System Of Guilt"
After nine jointly years of playing with moonlight Maciek Każmierski is leaving a number of the band . He has many different music projects and he couldn't pay so much attentions as moonlight needs. The material was recorded in August, again in Fonoplastykon studio with Marcin Bors as the sound engineer. This new album is marked by a small line-up change. After 9 years of cooperation, Maciek (drums) decided to part with Moonlight due to lack of time for the full time commitment. Luckily, the band soon found a replacement and the new session was done with a new drummer: Krzysztof "Bialy" Medrala (known from his work with Body Mind Relation). Andrzej Kutys: "The album is heavy and powerful but also lyrical, psychedelic and disco-like; it is full of noises as well as beautiful melodies… The songs interleave, thus creating a musical whole. Also, you are in for a big surprise as, for the first time in the band's history, we have a guest on the album! Adam Sypula from Ctrl-Alt-Del joined Maja on vocals in one track. In our opinion, it is the best Moonlight album." This same time when Moonlight played concerts during Second Life Syndrome II in the biggest cities in Poland as Riverside's guest Marcin worked on last shape of the new album "Integrated In The System Of Guilt" which in stories on 30-10-06. The tour was success.